Vicodin is highly effective as a pain reliever, but it is also highly addictive. Patients must use the medication with caution and report any concerns of signs pointing toward addiction to their physician. It is far easier to taper off Vicodin under the guidance of a physician than it is to stop Vicodin after addiction has developed. Vicodin addiction produces a number of behavioral warning signs which can provide clues that there is a problem. Someone who has become addicted to this medication will continue to use it even after the pain has subsided. The addict finds the effects of the drugs comforting. Drug rehabilitation experts suggest that Vicodin use after the pain is gone is a major sign of drug abuse and addiction. Someone who is becoming addicted to the medication may need to start using more to get the same effect. Some addicts begin doubling up on the dosage or taking more frequent doses, and this causes them to go through their legitimate prescription faster than expected. Narconon states using this drug more often than prescribed is not only a sign of addiction, but may also be a pathway to becoming a Vicodin addict. People who are dependent on higher-than-prescribed doses of Vicodin may use deceitful methods in order to gain additional supplies of the drug. Many addicts begin doctor shopping. This involves going from one doctor to another, without the knowledge of the doctors involved, in order to gain separate supplies from each physician to feed the increasing addiction. An individual with this addiction may display hostile and volatile mood swings, even toward loved ones and close friends. Anxiety and general agitation are other classic traits, as is depression, according to MentalHelp.net. 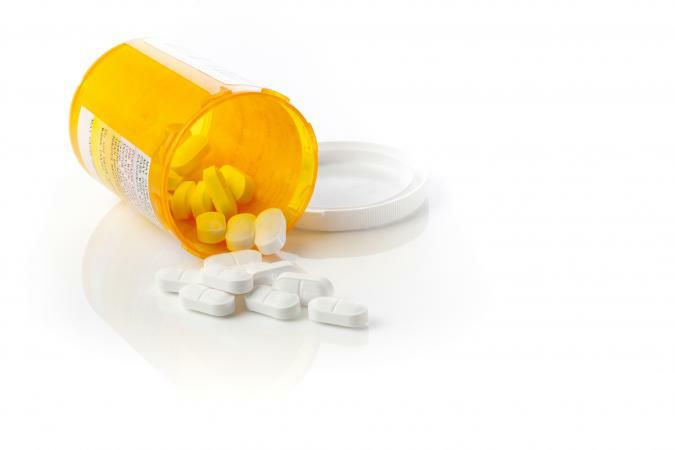 In the early stages of addiction, users often attempt to convince themselves they are not becoming addicted because the medication was legitimately prescribed. They see themselves as different from someone who uses illegal drugs. As their denial causes them to slip further into addiction, many users hide their Vicodin supplies in various places and disguise the act of taking the pills in order to avoid confronting their need for over use of the drug, says DrugRehab. When the cost of supplying the addiction grows out of control, users may find themselves struggling financially, says drug rehabilitation center Michael's House. Financial issues may also be the result of the user's inability to keep up with working because of the addiction. As with addiction to most drugs, the daily routine of life then revolves around obtaining and taking the drug. Vicodin addicts tend to struggle to focus or concentrate. In serious cases of addiction, those affected fail to attend work or school on a regular basis. Promises Rehabilitation Center says an inability to maintain regular routines can be one of many indications of addiction. As the addiction takes hold, addicts become less able to cope with social situations. With an overriding awareness that their behavior may appear abnormal, addicts often become virtual recluses as a result. Friends and family are typically some of the first people to realize there is a problem as they notice this change in the user, according to the Vicodin Rehab Guide. The same physical symptoms that occur with Vicodin addiction may become even worse when the user attempts to stop using; this often leads to giving up on stopping the medication. Talk to your doctor about your concerns about becoming addicted, and request that your ability to get refills is limited. Always take the medication exactly as prescribed. Let your doctor know immediately if the medication appears to be losing its effect. It's common to build up a tolerance when using pain medication, so let your physician manage your dosage. Let your family members know about your prescription and the medication's potential for addiction. Educate your family and close friends about the warning signs of addiction so they can help watch for problems. While Vicodin can be quite effective in managing pain, it also carries with it a high potential for addiction, largely due to the "feel-good" effect the medication has on the user's brain and body. Addiction to Vicodin merits medical intervention. 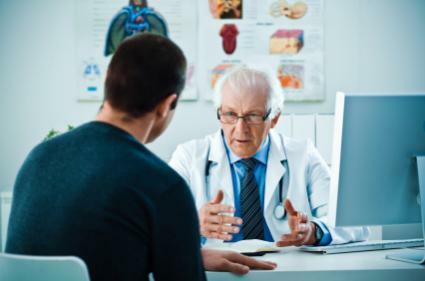 It's important for a user to be evaluated by a qualified physician and, if needed, referred to a residential detoxification and rehab center that can safely manage that person's withdrawal from the drug. Quitting Vicodin solo and abruptly can be dangerous; medical professionals are trained to assist in the process to increase success and minimize discomfort. The Substance Abuse and Mental Health Services Hotline is provided by the United States Health and Human Services. This free, confidential service can help users find the help they need to break their Vicodin addiction.